October 1942. 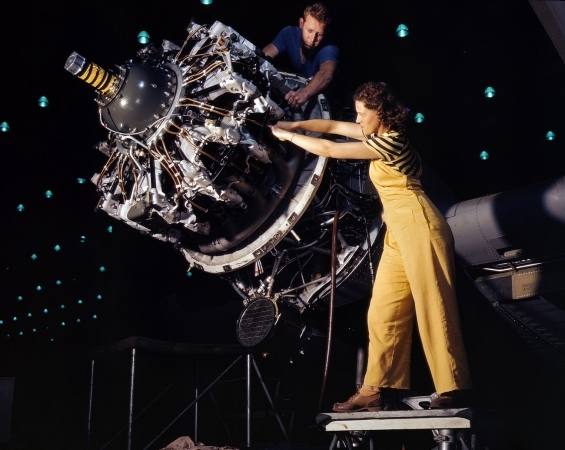 Long Beach, Calif. "Women are trained to do engine installation detail in Douglas Aircraft Co. plants."